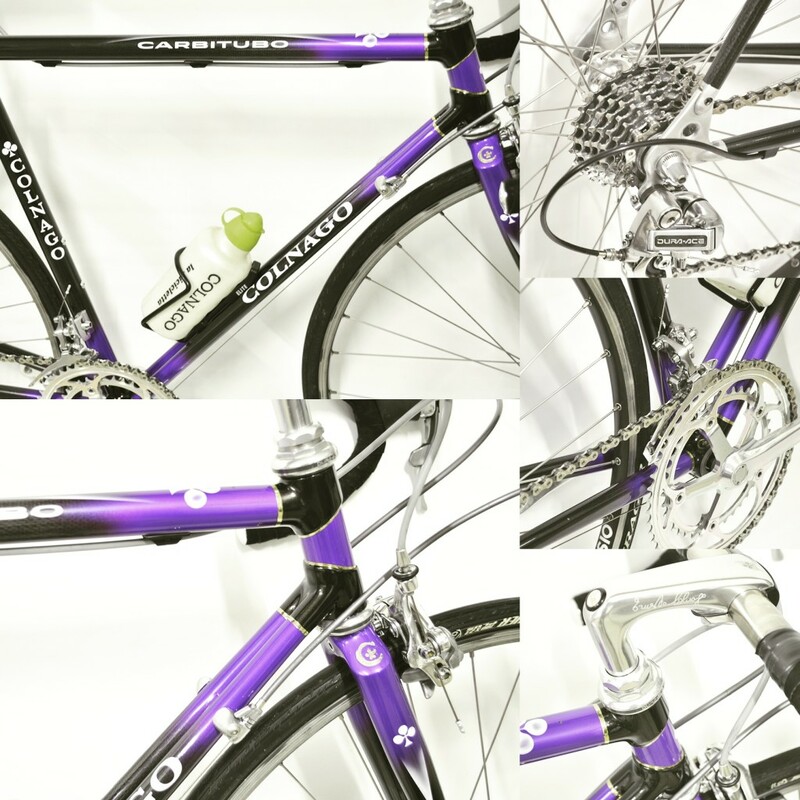 Very rare Colnago Carbitubo road bicycle from the mid 1990s! 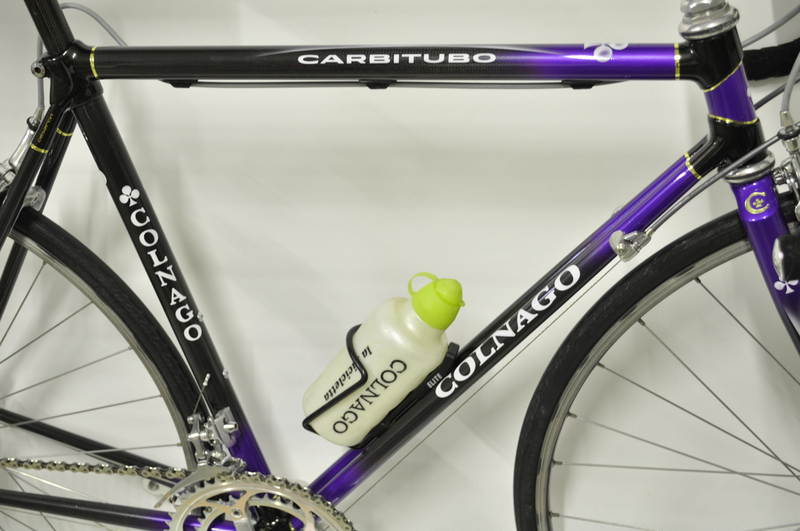 The frame shows the typical Colnago paintwork and has dual down tubing. the bike is equipped with Shimano Dura-Ace ST-7400 parts from the same era. The whole frame is stunningly and precisely manufactured. Tony Rominger even claims it to be his favourite frame of all times and is known to have half a dozen of them in his garage! If you are looking for a light and rare classic bicycle, then this it is! You will love the smoothness of the ride on a carbon frame and the great functionality of the best Shimano Dura-Ace group! ciao! Happy and Ride out in Style! This entry was posted in Bicycles, News, Restored, Shop and tagged 90 era, carbitubo, carbon, classic bicycle, colnago, dual down tubing, ernesto colnago, masterpiece, oldbici, paintwork, road bike, vintage, vintage.